A couple weeks ago, I was going to post the Roosevelt Field Mall on Long Island–the biggest mall in the metropolitan NYC area, and an IM Pei-designed landmark–because it had a brief run in the news after a bunch of teenage girls waiting to see teen pop sensation Justin Bieber caused a riot. Pretty crazy stuff for someone no one had ever really even heard of, but nothing new I guess. This reminded me, though, of another time I got caught in the middle of something similar, back in the summer of 2007. And I never posted THAT event, and I was there! So here we go. On one of my (many) trips to go out and collect photos and do research for Labelscar, my sidekick and I wound up on a Friday night in Scranton, Pennsylvania, a faded old mill town in the northeastern part of the state that nowadays is mostly known as the setting for “The Office.” Normally one of the benefits of taking vacations in places like Scranton is that absolutely no one else is interested in doing the same thing, so hotel rooms can be had cheaply and with little notice. Not so this time: I used four or five online aggregators, tried going direct to hotel sites, and nothing–EVERYTHING was upwards of $100. Eventually, after an hour or so of digging, I managed to find a lone Days Inn that let me stay for a mere $88. And believe me, I’ve stayed in some terrible Days Inns, but this one might’ve been the worst. 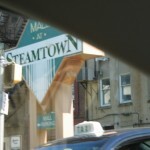 The next morning, sidekick and I headed out to start our trek, and our second stop was The Mall at Steamtown, which is right in the center of downtown Scranton. Despite that we arrived before the place opened, it was weirdly, bizarrely packed. The parking garage was nearly full, there were people everywhere… I couldn’t make sense of it. We went in and it became immediately apparent. This of course explained not only the crowds but also the hotel pricing–because families were descending on Scranton from all over Appalachia for a peak at Ms. Montana. In retrospect it’s already a bit funny to talk about the Miley Cyrus (aka Ms. Montana) frenzy in the present tense–not because she’s DONE, or anything, but just because this Bieber dude and those celibate werewolves in that Twilight movie seem to have stolen her thunder. But anyway, the place was packed to the gills with dedicated and screamy teen girls who just needed to see their idol. And of course, there was me, a then-27 year old walking around with a camera surreptitiously taking pictures of the “architecture.” I did not look creepy. Not at all. 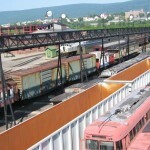 OK, here’s where we get a bit more serious: Scranton, Pennsylvania is an old industrial city of 76,000 located in the Lackawanna River Valley portion of Northeastern Pennsylvania, and is the lynchpin city of the Scranton/Wilkes-Barre metropolitan region, which has around 560,000 people in total. Scranton was an industrial town that came of age in the late 19th century and the first half of the 20th century as a coal, iron, and steel town, and via the prosperity of these commodities grew to a population of 143,000 by the 1930s. 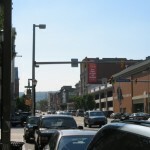 Like many other industrial cities of this era, however, Scranton’s prosperity ended with World War 2, and went into steep decline for a long period through the 80s, when the region began to stabilize. Population losses have since slowed, although the region has struggled to replace the industries that were once its driving force. The Mall at Steamtown opened in 1993 as a keystone of Scranton’s downtown revitalization. Featuring nearly 100 stores and 564,000 square feet of retail space spread across two levels, the mall was wedged in the center of Scranton’s downtown area and was meant to bring shoppers and activity back to the region’s core city from suburban malls and shopping centers. 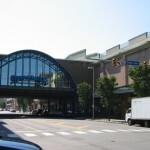 The mall was built with two original anchors–Montgomery Ward and Boscov’s–but it also contained a skywalk portion to connect to the historic downtown location of The Globe, a homegrown Scranton retailer, making for a third. 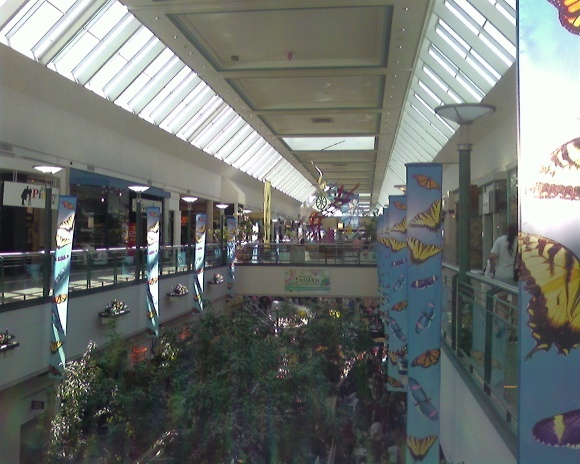 This also made the mall’s total square footage a bit larger than what was really contained within the “mall” itself–closer to 700,000 square feet. 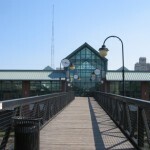 The Steamtown Mall also featured one very unique feature–a pedestrian bridge from the mall’s food court that connected to the Steamtown National Historic Site, which contains exhibits honoring Scranton’s past as a railroad town. 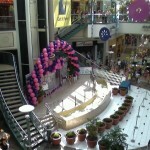 Unfortunately, The Globe would last less than a year after the mall opened before shuttering. 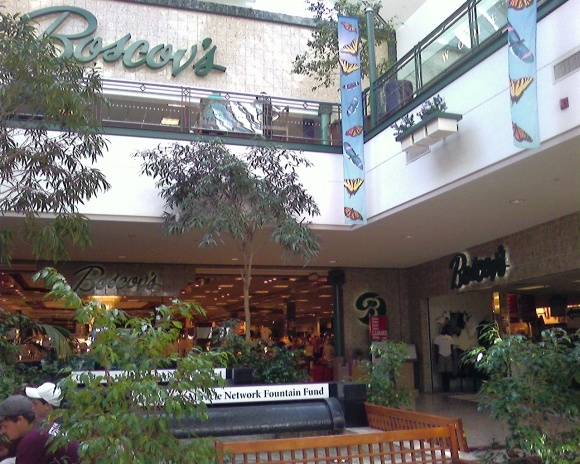 The space later became a Steve & Barry’s location, but since Steve & Barry’s went out of business the section of the mall has closed completely to the public. In addition, Montgomery Ward obviously shut their store at the mall at some point in the 1990s, and the space was quickly filled by The Bon-Ton. By and large, the Mall at Steamtown does fairly well today as one of the main mid-tier malls in the region, even if there hasn’t been a dramatic impact on the surrounding downtown business district. In recent years, it (like Scranton in general) has been thrown back into the spotlight due to “The Office,” which takes great care to incorporate local landmarks as much as possible and has repeatedly referenced the center by name. 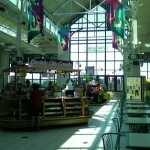 There is at least one episode of the show that was set and at least partially filmed at the Steamtown Mall and in the mall’s parking garage, and the center has been referenced on the show many times (such as the site of the coffeehouse “Jitters”). 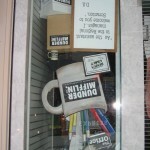 As of summer 2007, when these photos were taken, there was also at least one vacant storefront that was dedicated to Office schwag as a nod to show. I agree and see the similarities….sad about OMTC. This is my first time porting here, though I’ve been coming here for the past month or so. Nice post, especially because I am a huge fan of The Office, I like those fillers. 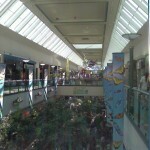 Ha, funny you should talk about mobs…at Cincinnati Mall, some 400 teenagers showed up at the nightclub but got unruly. Police had to fire pepperball projectiles into the crowd! Some even ran into the mall and started fights! Yikes! @Pseudo3D, Cincinnati Mall is dying anyway, when you replace big name retailers with more downscale tenants such as nightclubs and the like, these things are bound to happen, especially if the establishment is substandard at best. I’ve seen it happen to my local mall before it closed down. This mall’s website is of lacking quality. It looks like something that would have received a C+ in a high school business class. Who owns this mall? Judging by the website it obviously not one of the bigger players out there. I think General Growth had their claws in this mall for a while, but they obviously didn’t build the website. Also, a slight correction. It wasn’t the Globe builing *proper* that became S&B’s, but rather the bridge *to* Globe that became S&B’s. Globe itself is now offices. Finally, I remember looking at this mall’s lease plan not too long before GGP yanked all their lease plans off. There’s one whole side, I think on the lower level, that’s nearly vacant, but the rest is close to packed. Odd. Sorry for the double post, but I’m surprised that Scranton is a strong enough market for *two* malls. Both this and Viewmont Mall are in pretty good shape. Having been to Scranton many of times over the years, I can see how that city can support two malls..well three if one counts the one in Wilkes-Barre and many do since afterall many folks in that region DO consider Scranton and Wilkes-Barre one “large city”. In other words most people in Scanton doesn’t have an issue driving down I-81 to visit some attraction such as a mall/big box center in Wilkes-Barre or vice versa. Thats a big difference when one compares this market to say Virginia Beach/Norfolk’s. In that region, no shortage of people in the region who would NEVER consider say visiting a city in their region outside of their own city. Example: the many of people who live in Virginia Beach who will never step foot inside Norfolk though the two cities actually boarder each other. Check out their local paper http://www.pilotonline.com and read the paper’s local forumsand one can get a sense of this “attitude”, maybe that market can learn from Scranton and Wilkes-Barre..about “working together”. I live in Scranton. Nice to see the Mall at Steamtown covered here. There have been quite a few prominent closings due to the economy, and the mall is now at 25% vacancy. Some of the stores were replaced by smaller entrepreneurial businesses, and one storefront is now a small children’s museum. Needless to say, like many downtown malls, there have been problems with the clientele becoming more “urban”. Also affecting the mall was the opening of The Shoppes At Montage, a lifestyle center located about 5 miles away in the growing Montage Mountain area, that features several stores that already appear in the Steamtown and Viewmont Malls. 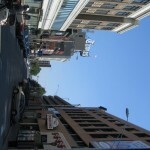 Several stores, such as The Gap and Select Comfort, left the mall for the more friendly confines of Montage. 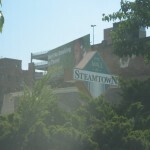 Weekend tours of the area for fans of “The Office” begin and end at the Steamtown Mall, and include the iconic sign featured in the show’s opening. The sign and a display are located at the former entrance of Steve and Barry’s/The Globe, very fan-friendly for photo ops. Steamtown also lost its final sit-down restaurant when The Ground Round ran into financial troubles and shut down this year. 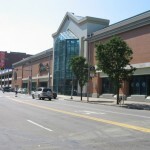 It was one of the original tenants of the Mall and one of two full service restaurants located at the street entrance of the Mall on Lackawanna Avenue. The other original full service eatery was an Italian restaurant, which closed and was followed by local/Delaware Shore legend Grotto Pizza (HQ is outside Wilkes-Barre), and is now a Pennstar Bank and Starbucks. The theatres are across the street from the Mall, but officially part of it, have been shuttered since a building adjacent to the Bridge and theatres, burned in a huge fire this year and its wall crashed into 2 or 3 theatres in the 8-screen complex. Mall management is trying to get a new cinema operator since they feel the current one reneged on its promise to run a quality facility. Meanwhile, PREIT-owned Viewmont Mall, about 3 miles north of Steamtown, has recently undergone a complete makeover and looks spectacular. 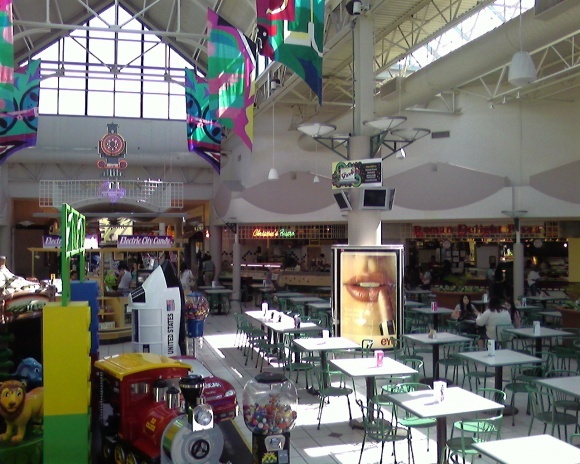 It’s a smaller mall than Steamtown, but is quite successful. I was there yesterday an noticed only 3 vacancies among its 70 stores. I still like the look of Steamtown. It doesn’t feel dated to me, despite being almost 20 years old, but the new look of Viewmont, does make it appear just “this side” of fresh. 1. The Globe was a beloved old-world style downtown store. I’ll never forget the day its closing was announced in 1994. The excitement of having a modern mall with hot new stores drew crowds that didn’t filter across the bridge to The Globe. Had the store stuck it out another year, I think its fortunes would have improved. But the writing was on the wall for most downtown department stores in the 90s, right? 2. The night before it opened, there was a huge party for the civic leaders who helped get the Mall at Steamtown built. I was at The Globe, which had expanded into the Bridge already. The chain curtain was down over the entrance, so you couldn’t actually go into the mall, but you could hear the music and see the tuxedo’ed guests, one of which we knew, and he came over to talk to us through the “cage”. The sight of that glorious new mall with all its skylights was like catching a glimpse of Nirvana. The excitement about this mall opening was THAT intense, especially for a mall junkie like myself. Wow, 1993…those were wild days, indeed. There is a place in downtown Scranton where you can view the latest creations from local artists, whiten your teeth, enjoy a relaxing massage and take your children through an educational experience. While you’re there, you can pick up some jeans, shoes and accessories – all without ever walking outside. That place is the Mall at Steamtown, now one of many shopping malls across the nation turning to nontraditional tenants to fill a growing number of vacancies. The traditional shopping mall, as retailers have known it for decades, finds itself at the mercy of consumers tightening their purse strings and looking for value and convenience, according to one retail expert. Reis Inc., a real estate research firm, found that the mall vacancy rate in the United States, about 8.8 percent, is at the highest it has been in at least 10 years. Officials at the Viewmont Mall, Mall at Steamtown and Wyoming Valley Mall would not disclose their vacancy rates. The Times-Tribune obtained a site map from the Mall at Steamtown’s leasing agent, Fameco Real Estate. Using the map, the newspaper was able to determine that about 17 percent of the Steamtown mall’s 200,000 square feet of leasable, in-line space is empty, will soon be empty or has a temporary tenant, such as Massage Palace, Cronin’s Irish Gifts and Finwood Furnishing. 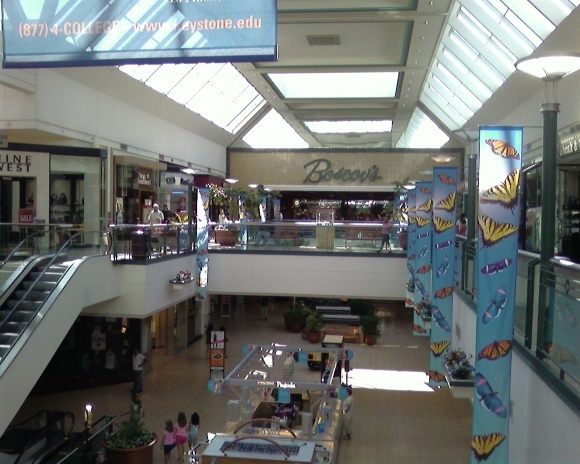 In-line space excludes the mall’s anchor stores, Boscov’s and Bon-Ton. Site maps were not available from the Viewmont or Wyoming Valley malls. Mr. Davidowitz said the vacancies at malls nationwide reflect the weak consumer, who is affected by high unemployment rates and has little to no income growth and many of whom are turning to food stamps and bankruptcy filings. A rise in online shopping has also added to vacancies. Rather than travel to a mall to search for a specific item, buyers can turn to niche stores on the Internet. “It hasn’t reached a threat level, but the Internet now accounts for at least 4 to 6 percent of retail sales,” said James Walsh, general manager and vice president of property management at the Mall at Steamtown. “Our baby boomers were the biggest consumers. As you step down to generations X and Y, you’re seeing less and less consumption in the three biggest niches wiped out by technology – cameras, music and books. While the consumer controls the success or failure of an industry like retail to an extent, Mr. Walsh believes the rise in vacancies stems from within the industry. 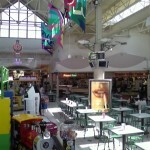 The surplus of shopping centers is responsible for many of the vacancies shopping centers face nationwide. In an effort to fill those vacancies, malls across the nation have turned to nontraditional tenants – stores not normally seen in malls. The Wyoming Valley Mall has been able to capitalize on some problematic empty space, such as an old cinema complex. “Our theater hadn’t been used in about three years,” said marketing director Joseph Ohrin. “A theater is a difficult space to lease. You can’t put a clothing store there. You can’t put (an electronics store) there unless you knock down and renovate everything. Community theater group Kids Innovating Stage and Sound (KISS) capitalized on that perfect fit. The four-theater movie house that was used by Great Escape Cinemas now provides ample rehearsal and performance space for KISS. The community theater group launched its first performance last week, The Wizard of Oz. Timmy’s Town Center, a nonprofit organization formed to create children’s museums, has found a spot on the second level of the Mall at Steamtown. There, children and their families can interact with each other at different educational exhibits, including a puppet theater for imaginative play and a miniature farmers’ market to learn about healthy lifestyles. Also at the Mall at Steamtown, the former nail salon on the second floor now houses the STAR Gallery, which showcases art – like oil pastels, sculptures, contemporary drawings, jewelry and clothing – by the Steamtown Artists Renaissance, an art cooperative in Scranton. Some products are also for sale at a range of prices. “You’re better off having lights on and attracting somebody,” Mr. Walsh said. The Mall at Steamtown has also drawn Bleach Bright, a teeth-whitening business, as well as a karate school and the Massage Palace. However, some of the non-traditional tenants are finding their businesses a tough sale for regular mall shoppers. Simona Gavern, coordinator of the STAR Gallery, said the space works well and understands the struggling economy may impact those who go to the mall. 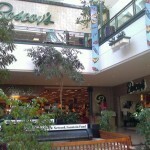 “I know there are some things going on at the mall because of the economy, but this mall is a city landmark,” she said. “It is unique. The architecture is unique. There’s indoor parking. It’s ideal for anyone with a business. The challenges to fill some longtime and newly vacant space in the Steamtown mall have required thinking outside the retail box. The mall recently lost Eddie Bauer and Rave and has tried for more than a year to fill the 30,000 square feet of space left vacant by discount clothier Steve and Barry’s. A lack of retailers interested in moving into the Steve and Barry’s location has Mr. Walsh turning to offices. “People say we’d be nuts to think we’d fill Steve and Barry’s with office instead of retail,” he said. “Well, there are no 30,000-square foot users out there. That’s an economic reality. While it seems like a last-ditch effort, those in the industry are looking at the situation in a positive light, highlighting the benefits of non-traditional tenants in shopping centers. Mr. Ohrin thinks it just takes some rethinking on the part of those in the industry. “For years, retail people had set standards, cut-and-dry ways of ‘This is how it has to be done,'” he said. “Now the economy’s different and people are opening their minds. ‘Let’s try this, it’s working.’ They can rent the place out and bring in a different group of people that might not necessarily shop at the mall. The non-traditional tenant is just a first step in a movement to revolutionize the way the retail industry looks at shopping centers. It will continue to roll with the tide, said PREIT vice president of retail marketing Judy Trias. “We feel there will always be a place for malls,” she said. “Our malls are well-located and offer convenience of multiple types of retailers within an indoor, climate-controlled setting, along with professional on-site management, marketing, housekeeping and security. They also continue to be gathering places for community events. SCRANTON – In the midst of a deep economic recession, few businesses have had to adapt and change their strategies more than retail shopping malls. With many consumers cutting back on retail spending, malls have had to be more creative than ever to attract and keep both customers and tenant stores and businesses. The Mall at Steamtown recently announced the upcoming addition of Hurricane Grill and Wings to the former Ground Round location, filling an important spot in the mall’s landscape. The Viewmont Mall has kept a near 100 percent occupancy rate as it replaced three stores this summer. 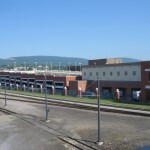 Both Lackawanna County malls – the Viewmont Mall in Dickson City and The Mall at Steamtown in Scranton – have been challenged by the recession and have succeeded to varying degrees. Viewmont Mall Marketing Director Holly Jones said the facility has enjoyed attracting new retailers while maintaining current ones. Since July, the mall has seen C.J. Banks and Lane Bryant leave the landscape. 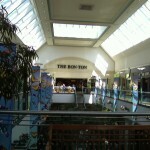 However, those stores were replaced by new shops from Rue 29 and Body Central later in the month. A third store, Bolton’s, was replaced by another store, Strawberry, which is operated by the same company as its predecessor. Jones said that the occupancy rate for the Viewmont Mall has remained above 90% in recent years. 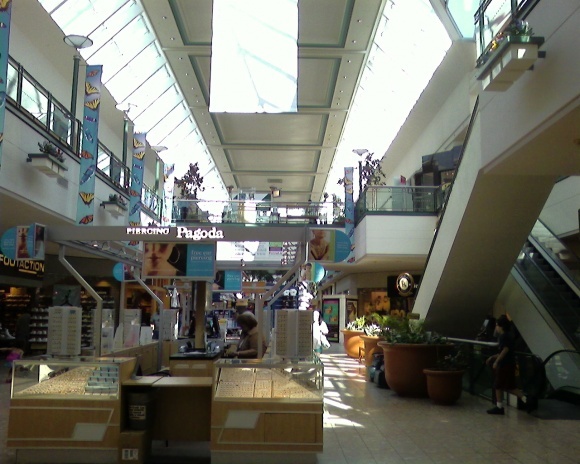 A check of the latest supplemental financial and operating information report for the Pennsylvania Real Estate Investment Trust, which owns the mall, puts the mall’s occupancy rate as of June 30, 2010 at 97.8%, down just -0.1% from the same time last year. 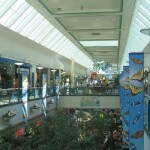 Jones also chalked up some of her mall’s success to longevity, as the facility has been open since 1969. 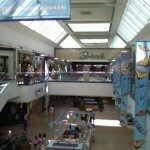 PREIT has operated the mall since 1994 when it replaced previous owner Crown American. Founded in 1960, PREIT is a publicly-traded company that owns 54 retail properties across the United States. She also said that being surrounded by other retailers and restaurants has played a large part in bringing customers back. “We are located in the hub of the area’s retail center, and things like that help make this a more attractive place to shop,” Jones said. “The new movie theater is a tremendous addition for . 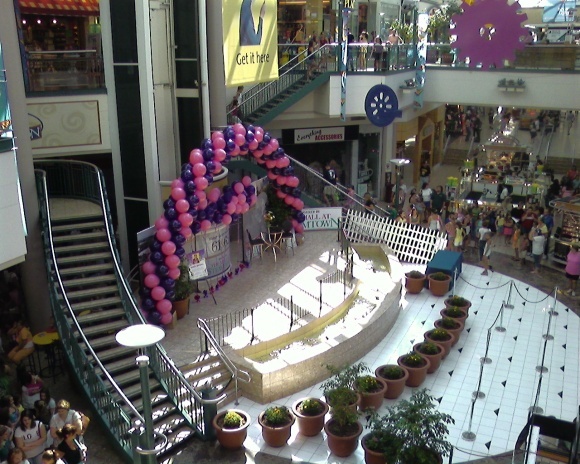 Jones cites the success of special offers like the mall’s back-to-school promotion. Started on July 30, shoppers could get a gift which included free back-to-school supplies with $75 or more in purchases at mall retailers. Viewmont also offered the chance for other prizes including an iPod touch. “Last year we gave away 432 packs of supplies,” Jones said. “This year we gave out 576 packs, and ran out far earlier than we had planned on! After opening in 1993, The Mall at Steamtown was seen as a gleaming new addition to Scranton’s downtown area that would attract customers for years to come. While the facility has seen its share of retailers leave in recent months and years, mall General Manager Jeffrey Walsh has remained optimistic in finding new ways to combat the downward trends that have accompanied the recent recession. Within the last year, retailers such as Eddie Bauer and The Ground Round restaurant – both of which were among the mall’s original tenants – have left the mall, creating empty storefronts and disappointing mall customers. 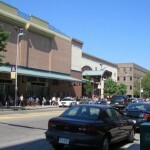 Such closings have helped keep the mall’s occupancy rate at 76%, which Walsh says has been consistent since the departure of anchor store Montgomery Ward in late 1996. 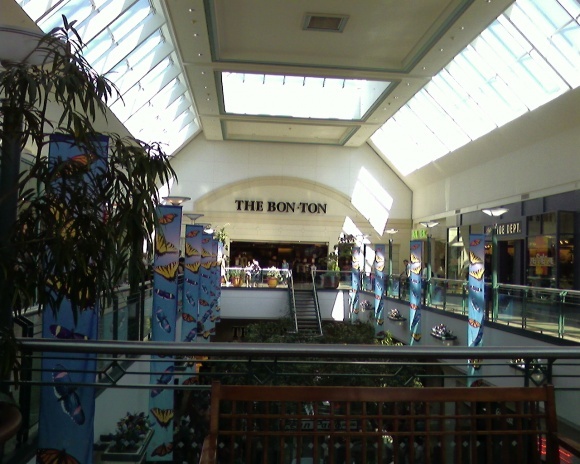 The Bon-Ton filled that location in 1998. In addition, Walsh says the addition of the Shoppes at Montage, a self-described “lifestyle center” in Moosic, has saturated the market with retail space that is detrimental to the success of retail business in a market with Scranton’s demographics. 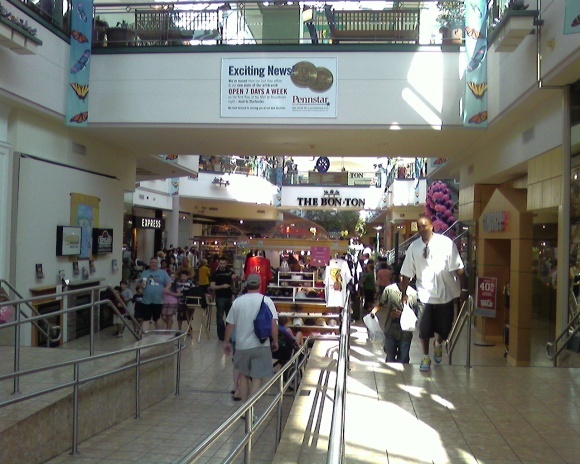 In place of the lost stores have come several local retailers, such as Cronin’s Irish Cottage, as well as the relocation of the Scranton Single Tax Office to the mall’s second floor. Walsh was also quick to highlight the mall’s three-year old partnership with Citadel Broadcasting, which has seen entertainers such as Justin Beiber, Adam Lambert and Kris Allen make appearances at the mall within the last year. Officials with The Mall at Steamtown in recently announced that a Hurricane Grill & Wings restaurant will come to the former Ground Round location. The Florida-based chain currently operates 52 restaurants nationwide. The nearest existing location is in Port Jefferson, N.Y. The Mall at Steamtown is owned by Steamtown Mall Partners, LP, while being operated by Prizm Asset Management Company. 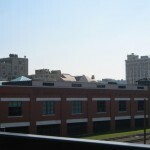 Headed by President Al Boscov, the company also operates the Oppenheim and Samter Buildings in Scranton, as well as the Scranton Enterprise Center on Lackawanna Avenue. Other retail properties operated by the company include the Lebanon Valley Mall in Lebanon and the Reading Mall in Reading. In addition to the celebrity appearances, Walsh is quick to highlight the work done by the mall in the local community, including partnering with local police for National Night Out and working with the Leukemia and Lymphoma Society to raise more than $330,000 in recent years. He also added that the mall is in discussion with “a handful of other retailers” about new development. Jason Farmer / Staff Photographer Aeropostale has closed its Mall at Steamtown store. Its stores in Dickson City and Moosic remain open. Aeropostale, a teen-oriented, casual apparel and accessories retailer that had been at the mall since its opening in 1993, closed on Saturday. 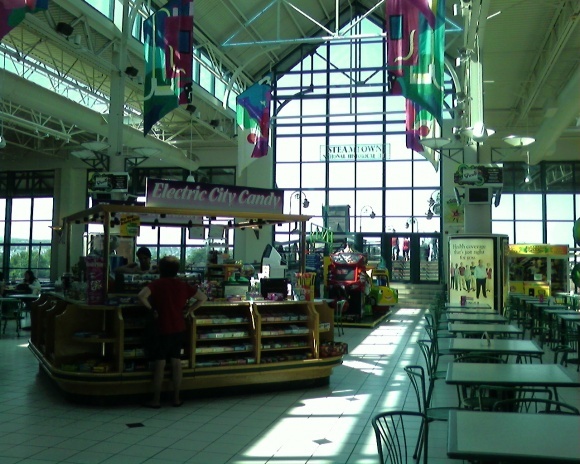 The New York-based chain has stores at the Shoppes at Montage in Moosic and the Viewmont Mall in Dickson City. Aeropostale’s departure drives the mall’s vacancy rate to 27 percent, three times the national average. The mall’s 73 percent occupancy is the lowest since its early days of operation. 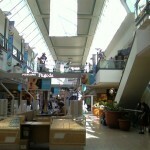 The mall’s problems reflect a nationwide shopping center slump, said Howard Davidowitz, a New York retail consultant. 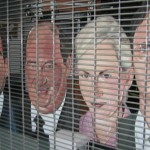 The contraction follows a devastating recession that hammered the retail field in 2008 and 2009. Online sales and discount retailers, including “dollar” stores, are thriving, Mr. Davidowitz said, and department stores continue to struggle. Mall vacancies averaged 9 percent in the second quarter in the largest 80 markets nationwide, according to the International Council of Shopping Centers, a New York trade association. The rate was up from 8.9 percent in the first quarter. Aeropostale represents the fourth tenant the mall has lost that continues to occupy space at the Shoppes at Montage, a complex that opened in Moosic in 2007. Eddie Bauer’s departure in January followed Gap and S&K Menswear, which left the Steamtown mall early in 2007 to relocate to the Shoppes. Aeropostale at the mall recorded $1.5 million in 2009 sales, compared to $1.3 million in sales at the Aeropostale at Montage, Mr. Walsh said. The store occupied 4,645 square feet and employed two full-time, 12 part-time and 20 seasonal workers, he said. Its lease expired in May. Efforts to reach Aeropostale, which operates about 900 stores, were unsuccessful. The company recently reported second-quarter net earnings that rose 21 percent over the same 2009 period while sales advanced 9 percent. The mall’s previous high-vacancy rate since its early days was 25 percent in the spring of 1999, when the Montgomery Ward department store closed. 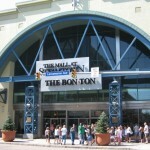 Bon-Ton has occupied that 100,000-square-foot space since 2000. 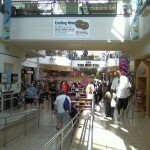 The mall recently added an important tenant, Hurricane Grill and Wings, to occupy the space vacated in August 2009 by the Ground Round, the mall’s only full-service restaurant. When Hurricane Grill opens in October, the mall’s vacancy rate will drop to 24 percent. Mall management is restructuring its debt to provide lease relief for tenants and attract prospective retailers, Mr. Walsh said..
“Tenants are in need of help. They are retrenching,” he said. The mall provided $200,000 for the Hurricane Grill’s conversion expenses, Mr. Walsh said, and the franchisee will spend up to $500,000 on startup costs. The grill is committed to a 10-year lease. Because national retailers are not expanding, the mall this year hired a full-time leasing agent to pursue specialty and regional businesses, Mr. Walsh said. “There’s economic forces at work that are beyond harsh,” he said.